TLJ Daily E-Mail Alert No. 2,588, August 7, 2013. Wednesday, August 7, 2013, Alert No. 2,588. 8/6. On August 2, 2013 CBS withheld consent for Time Warner Cable (TWC) to retransmit the signals of some of its properties in the Los Angeles, New York, and other markets. From the consumer's perspective, this is a blackout. CBS and TWC are engaged in a dispute over how much TWC will pay to CBS to retransmit CBS's signals on its cable service. These disputes are now both common, and upsetting to affected consumers. And, as is also common, Representatives and Senators have entered the debate. Although, imminent legislation is highly unlikely. Cable Act of 1992. The retransmission consent regulatory regime was established by the Cable Act of 1992, and is further implemented by rules promulgated by the Federal Communications Commission (FCC). That is, broadcasters can charge cable companies and other MVPDs for retransmission of their programming. The companies have been negotiating retransmission consent contracts for over 20 years. Withholding of consent by broadcasters, and resulting the blackouts, have become common. There are switching costs for consumers to switch from one MVPD to another. Hence, switching to obtain one's favorite programming it not a easy option for consumers. So, many consumers complain to their Representatives and Senators about blackouts. And, the MVPDs and the trade groups that represent them complain to the Congress and FCC that the 1992 retransmission consent regime is outdated in the changed marketplace. Congressional Comments Regarding Blackouts. Rep. Anna Eshoo (D-CA), the ranking Democrat on the House Commerce Committee's (HCC) Subcommittee on Communications and Technology stated in a release on August 6 that "It has been my long held belief that consumers should not be held hostage when retransmission disputes break down ... Unfortunately, programming blackouts such as the one underway in eight U.S. markets have become far too common for consumers who simply want to enjoy the programming they pay for each month." Rep. Eshoo (at left) added, "I urge Time Warner Cable and CBS to reach a swift resolution that reinstates programming to millions of consumers across the country. I also intend to carefully examine whether changes to current law are needed to adequately protect consumers and prevent the reoccurrence of blackouts." Rep. Grace Napolitano (D-CA) wrote in her Facebook account that "I am hopeful that CBS and Time Warner Cable can resolve their retransmission consent dispute soon. Time Warner Cable reaches over 105,000 homes and businesses throughout our 32nd congressional district, and consumers who pay their monthly cable bills to enjoy their programs of choice over TV or the Internet should have access to all shows." Sen. Ed Markey (D-MA) sent a letter to FCC Chairman Mignon Clyburn on August 6 in which he requested that the FCC "take action to bring the parties together so these negotiations can be concluded in a equitable and expeditious manner. Sen. Markey continued that "I believe the public interest would be best served if carriage is restored by the parties at the earliest possible time so that consumers are not long caught in the middle." More Information. Jeff Simmermon of TWC stated in a release on August 6 that "We have sincerely offered two proposals to get CBS programming back for our customers. We offered the a la carte proposal, and we offered an increase in addition to the same contractual terms that CBS and Time Warner Cable have operated under for roughly five years. That's not enough for CBS, apparently, though we are not sure why. We're really disappointed in their lack of responsiveness, especially when we asked them to quit blocking the free content that they have been putting onto their own website at CBS.com. We hope they will return to the table to negotiate in good faith on behalf of our customers and their viewers." TWC is a large cable company. The American Cable Association (ACA), which represents smaller cable companies, states in its web site that broadcasters often demand that "the smaller cable operators pay an exceptionally higher per-customer fee than other larger operators in the same market", and that this harms consumers and reduces price competition. See, ACA web page titled "Retransmission Consent". 8/6. The primary dispute between CBS and Time Warner Cable (TWC) is about how much TWC will pay to CBS to retransmit CBS's signals on its cable service. As a negotiating tactic, CBS blacked out its signals in some markets, after previous contractual obligations expired. However, in addition to the blackouts, CBS has also blocked access over the internet to the CBS.com web site for TWC broadband customers, even if they do not also subscribe to TWC television, and are not in blacked out markets. Hence, some legislators suggested that CBS may have violated either the Federal Communications Commission's (FCC) 2005 "Policy Statement" and/or the FCC's 2010 broadband internet access service (BIAS) order, which is also sometimes referred to as the open internet order, or network neutrality order. Sen. Ed Markey (D-MA) wrote in his letter to the FCC that "I am also particularly concerned by reports that CBS is blocking access to its Internet-based video for Time Warner Cable broadband customers. A consumer's choice of cable television provider should not be tied to her ability to access Internet content that is freely available to other consumers. In such instances, consumers lose their freedom to access the Internet content of their choice. This is an anti-consumer result that I urge the Commission to investigate". 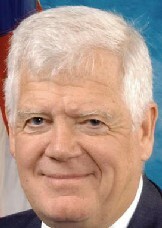 Rep. Jim McDermott (D-WA) was more direct. He wrote in an August 6 letter to FCC Chairman Mignon Clyburn that "I am deeply troubled by CBS's action in blocking Time Warner Cable broadband internet customers from being able to access CBS.com. As I understand the situation, this means that households who use Time Warner Cable broadband, whether or not they also use Time Warner Cable for their television, are effectively denied access to specific content on the internet." Rep. McDermott (at right) stated that "CBS's action violates the Commission's 2005 Broadband Internet Policy Statement". He concluded that he wants the FCC "to defend internet freedom and begin to address both the continuing problem of retransmission consent and its effect on internet freedom". The FCC adopted a "Policy Statement" on August 5, 2005. See, story titled "FCC Adopts a Policy Statement Regarding Network Neutrality" in TLJ Daily E-Mail Alert No. 1,190, August 8, 2005. The FCC released the text [3 pages in PDF] on September 23, 2005. See, story titled "FCC Releases Policy Statement Regarding Internet Regulation" in TLJ Daily E-Mail Alert No. 1,221, September 26, 2007. The FCC promulgated its BIAS rules in its Report and Order (R&O) [194 pages in PDF] of late December, 2010. The FCC adopted the R&O on December 21, 2010, and released the text on December 23, 2010. It is FCC 10-201 in GN Docket No. 09-191 and WC Docket No. 07-52. See also, stories in TLJ Daily E-Mail Alert No. 2,186, December 22, 2010, and TLJ Daily E-Mail Alert No. 2,188, December 24, 2010. Although, the BIAS order is worded in a manner that prohibits BIAS providers from blocking access to lawful content on the internet, while leaving others free to block access to internet content. That order amended the FCC's rules to provide that "A person engaged in the provision of fixed broadband Internet access service, insofar as such person is so engaged, shall not block lawful content, applications, services, or non-harmful devices, subject to reasonable network management." That BIAS order also provides that "A person engaged in the provision of mobile broadband Internet access service, insofar as such person is so engaged, shall not block consumers from accessing lawful websites, subject to reasonable network management; nor shall such person block applications that compete with the provider’s voice or video telephony services, subject to reasonable network management." At bottom, the 2005 policy statement is not an enforceable set of rules, and the 2010 rules do not reach CBS. Moreover, the 2010 rules may soon be overturned by the U.S. Court of Appeals (DCCir). Oral argument in Verizon v. FCC is scheduled for September 9, 2013. Harold Feld of the Public Knowledge (PK) stated in a release that "CBS, by blocking all Time Warner Cable broadband subscribers in every market, regardless of whether or not they subscribe to Time Warner Cable's video services, has crossed the line from hardball tactics to outright abuse of consumers. It's unacceptable that CBS, or any company, should block access to web sites or web content because of a commercial dispute they have with a cable company." He added that "CBS's actions also hold Internet subscribers hostage in an unrelated fight. Broadband subscribers outside the blacked out markets, as well as TWC broadband subscribers that do not rely on TWC for video, are being denied content they have every legal right to expect. Congress never intended that broadcasters violate their duty as trustees of the public airwaves by using consumers as pawns in commercial disputes." 8/7. The White House news office issued a release that states that President Obama will not meet with Russian President Putin in September, in part, because Russia granted Edward Snowden temporary asylum. The release states that "that there is not enough recent progress in our bilateral agenda with Russia to hold a U.S.-Russia Summit in early September." It adds that "Russia's disappointing decision to grant Edward Snowden temporary asylum was also a factor that we considered in assessing the current state of our bilateral relationship. It continues that on Friday, August 9, 2013, Secretary of Defense Chuck Hagel and Secretary of State John Kerry "will meet with their Russian counterparts in a 2+2 format in Washington to discuss how we can best make progress moving forward on the full range of issues in our bilateral relationship." Finally, it states that Obama will travel to St. Petersburg, Russia on September 5-6 to attend the G-20 Summit. 7/30. The Consumer Electronics Association (CEA) announced, but did not publicly release, a survey based report titled "U.S. Household Television Usage Update". The CEA stated in a release that the percentage of U.S. households that rely solely on over the air signals for television programming continues to decline, and is now at 7 percent. The CEA release states that the CEA conducted 1,009 interviews via landline and cellphone. The CEA is a large trade group that represents companies that make consumer electronics equipment, including devices that enable broadband internet access and/or wireless voice communications. These companies want more spectrum allocated for use by the devices that they make. 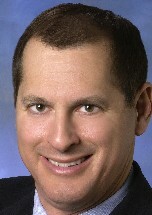 Gary Shapiro (at right), head of the CEA, stated in the release that "The vast majority of Americans no longer rely on over-the-air TV signals ... Consumers have moved away in droves from traditional broadcast television thanks to a surge in programming alternatives available through wired and wireless broadband connections." He continued that "This is why Congress had it right when they authorized the FCC to hold voluntary broadcast spectrum incentive auctions to reallocate broadcast television spectrum to greater uses, like wireless broadband. This study provides yet another reason why it is time for broadcast spectrum to be reallocated, and quickly." Dennis Wharton of the National Association of Broadcasters (NAB) stated in response that "CEA's findings strain the bounds of credibility, beginning with the fact that its alleged 'research' was conducted by CEA staff members rather than an independent firm. Contrast that with the recent independent study by GfK, a world-recognized consumer research firm, that found that 19.3 percent of homes rely exclusively on over-the-air television." Wharton added that "We're confident that GfK's research is far more credible than that of a trade association with a track record of anti-broadcasting bias." See, June 17, 2013 GfK piece titled "Confessions of a Cord Cutter Skeptic Revisted". The CEA release also states that the percentage of consumers who pay for TV from cable, satellite or fiber to the home providers has declined in recent years. The CEA release attributes this decline to the use of non-TV consumer electronics devices, such such as laptops, desktops, tablets and smartphones, and internet connected TVs, to watch video programming, as well as increased access to internet sourced TV programming. The GfK piece states that the percentage of broadcast only homes has increased in recent years. It discusses the weak economy, the DTV transition, and streaming video as possible reasons for the return to broadcast only, but offers no conclusions. The House will not meet from August 5 through September 6. It will return from its August recess on Monday, September 9. See, House calendar for the 113th Congress, 1st Session. The Senate will not meet from August 5 through September 6. It will return from its August recess on Monday, September 9. See, Senate calendar for the 113th Congress, 1st Session. (RITA) Intelligent Transportation Systems (ITS) Program Advisory Committee. See, notice in the Federal Register, Vol. 78, No. 139, July 19, 2013, at Page 43273. Location: Crystal City Marriott at Reagan National Airport, 1999 Jefferson Davis Highway, Arlington, VA.
10:00 AM. The U.S. Court of Appeals (FedCir) will hear oral argument in Panduit Corp. v. ADC Telecommunications, Inc., App. Ct. No. 12-1435, an appeal from the USPTO. Panel D. Location: Courtroom 201, 717 Madison Place, NW. 10:00 AM. The U.S. Court of Appeals (FedCir) will hear oral argument in Panduit Corp. v. Rea, App. Ct. No. 12-1437. Panel D. Location: Courtroom 201, 717 Madison Place, NW. 10:00 AM - 5:00 PM. The U.S.-China Economic and Security Review Commission will hold one in a series of meetings to review and edit its 2013 annual report to the Congress. Open to the public. See, notice in the Federal Register, Vol. 78, No. 151, August 6, 2013, at Pages 47829-47830. Location: Room 231, Hall of the States, 444 North Capitol St., NW. Deadline to submit reply comments to the Federal Communications Commission (FCC) in response to its Public Notice (PN) regarding its proposals to conduct three limited "real-world trials to obtain data" regarding transitioning public switched telephone network technology to all internet protocol networks. This PN is DA 13-1016 in GN Docket No. 13-5. The FCC released it on May 10, 2013. See, notice in the Federal Register, Vol. 78, No. 101, May 24, 2013, at Pages 31542-31548, and FCC's May 24 Public Notice. See also, story titled "FCC Requests Comments on Possible IP Transition Trials" in TLJ Daily E-Mail Alert No. 2,561, May 14, 2013. Deadline to submit to the Federal Communications Commission (FCC) oppositions to the Wireless Internet Service Providers Association's (WISPA) July 3, 2013 Petition for Reconsideration of the FCC's May 16, 2013 Report and Order (DA 13-1113) regarding universal service taxes and subsidies, and in particular, the FCC's Connect America Fund Phase II challenge process. See, July 12, 2013 Public Notice (Report No. 2986), and notice in the Federal Register, Vol. 78, No. 141, July 23, 2013, at Page 44091. Deadline to submit public interest comments to the U.S. International Trade Commission (USITC) in its Investigation No. 337-TA-800 regarding "Certain Wireless Devices With 3G Capabilities and Components Thereof". This pertains to InterDigital Communications' complaint against various Huawei, ZTE, Nokia, and LG companies. See, notice in the Federal Register, Vol. 78, No. 135, July 15, 2013, at Pages 42107-42108. 10:00 AM. The U.S. Court of Appeals (FedCir) will hear oral argument in Leviton Manufacturing v. USITC, App. Ct. No. 12-1483, an appeal from the U.S. International Trade Commission (USITC). Panel E. Location: Courtroom 201, 717 Madison Place, NW. 10:00 AM. The U.S. Court of Appeals (FedCir) will hear oral argument in Fujian Hongan Electric v. USITC, App. Ct. No. 12-1493, an appeal from the U.S. International Trade Commission (USITC). Panel E. Location: Courtroom 201, 717 Madison Place, NW. 10:00 AM. The U.S. Court of Appeals (FedCir) will hear oral argument in Intellect Wireless v. HTC, App. Ct. No. 12-1658, an appeal from the U.S. District Court. Panel E. Location: Courtroom 201, 717 Madison Place, NW. 1:00 - 3:15 PM. The DC Bar Association will host an event titled "Cloud Computing Basics". The speakers will be Henry Classen (Computer Sciences Corporation) and Philip Porter (Hogan Lovells). The price to attend ranges from $89 to $129. CLE credits. For more information, call 202-626-3488. The DC Bar has a history of barring reporters from its events. See, notice. Location: DC Bar Conference Center, 1101 K St., NW. Extended deadline to submit comments to the Federal Trade Commission (FTC) in response to its notice of proposed rulemaking regarding its Telemarketing Sales Rule (TSR). See, original notice in the Federal Register, Vol. 78, No. 131, July 9, 2013, at Pages 41199-41225, and FTC release extending deadline to August 8. Effective date of the Federal Communications Commission's (FCC) Wireline Competition Bureau's (WCB) Order [5 pages in PDF] of June 25, 2013 that requires that "eligible telecommunications carriers (ETCs) verify a Lifeline subscriber's eligibility for Lifeline service before activating such service". This order is DA 13-1441 in WC Docket No. 11-42. See also, notice in the Federal Register, Vol. 78, No. 131, July 9, 2013, at Pages 40968-40970. 10:00 AM. The U.S. Court of Appeals (FedCir) will hear oral argument in Apple v. Samsung Electronics, App. Ct. No. 2013-1129, a appeal from the U.S. District Court (NDCal) in a patent and trade dress case involving mobile device technology. This pertains to the District Court's order denying Apple's motion for a permanent injunction. Panel H. See also, stories titled "Apple Files Patent Infringement Complaint Against Samsung" in TLJ Daily E-Mail Alert No. 2,222, April 18, 2011, and "Trial Jury Returns Verdict In Apple v. Samsung" in TLJ Daily E-Mail Alert No. 2,437, August 25, 2012. The District Court case number is 11-CV-01846-LHK. Location: Courtroom 203, 717 Madison Place, NW. 10:00 AM. The U.S. Court of Appeals (FedCir) will hear oral argument in Integrated Technology v. Rudolph Technologies, App. Ct. No. 12-1593, an appeal from the U.S. District Court. Panel F. Location: Courtroom 201, 717 Madison Place, NW. 10:00 AM. The U.S. Court of Appeals (FedCir) will hear oral argument in Maury Microwave, Inc. v. Focus Microwaves, App. Ct. No. 13-1006, an appeal from the U.S. District Court. Panel F. Location: Courtroom 201, 717 Madison Place, NW. 10:00 AM. The U.S. Court of Appeals (FedCir) will hear oral argument in Comaper Corporation v. Antec, App. Ct. No. 13-1147, an appeal from the U.S. District Court. Panel F. Location: Courtroom 201, 717 Madison Place, NW. 10:30 AM. The Federal Communications Commission (FCC) will host an event titled "open meeting". The FCC is scheduled to adopt changes to its operating rules for satellite services, rules for unlicensed devices operating in the 57-64 GHz band, and rules regarding interstate inmate phone rates. See, agenda. Location: FCC, Commission Meeting Room, TW-C305, 445 12th St., SW.
12:00 NOON - 1:00 PM. The Heritage Foundation (HF) will host a discussion of the book [Amazon] titled "A Government of Wolves: The Emerging American Police State". This book addresses, among other topics, electronic surveillance. The speakers will include the author, John Whitehead (Rutherford Institute). Free. Open to the public. See, notice. Location: HF, 214 Massachusetts Ave., NE. Deadline to submit nominations to the Government Accountability Office (GAO) for membership on Health Information Technology Policy Committee. There is one opening for a person with "expertise in health information privacy and security". See, notice in the Federal Register, Vol. 78, No. 138, July 18, 2013, at Page 42945. Deadline to submit reply comments to the Federal Communications Commission (FCC) in response to its Second Notice of Proposed Rulemaking (2ndNPRM) regarding its "2000 Biennial Regulatory Review Separate Affiliate Requirements of Section 64.1903 of the Commission's Rules". The FCC adopted this NPRM on May 10, 2013 as part of its larger item [127 pages in PDF] that granted forbearance from numerous unnecessary regulatory requirements on phone companies. The FCC released this item on May 17. It is FCC 13-69 in CC Docket No. 00-175. See, notice in the Federal Register, Vol. 78, No. 113, June 12, 2013, at Pages 35191-35195. Deadline to submit nominations to the Department of the Interior's (DOI) U.S. Geological Survey (USGS) to serve on its National Geospatial Advisory Committee (NGAC). See, notice in the Federal Register, Vol. 78, No. 130, July 8, 2013, at Page 40764. 1:00 - 2:30 PM. The American Bar Association (ABA) will host a webcast and teleconferenced panel discussion titled "Encryption Made Simple for Lawyers". The speakers will be John Simek (Sensei Enterprises) and David Ries (Clark Hill Thorp Reed). Prices vary. CLE credits. See, notice. 1:00 - 2:30 PM. The American Bar Association (ABA) will host a webcast and teleconferenced panel discussion titled "Patent Law Pro Bono: How and Why". The speakers will be Mark Privratsky (Lindquist & Vennum), Amy Salmela (Patterson Thuente IP), and Heather Callahan (Divetank Strategies). Prices vary. CLE credits. See, notice. 5:00 PM. Deadline to submit requests to speak at the August 20 teleconferenced meeting of the President's National Security Telecommunications Advisory Committee (NSTAC). See, notice in the Federal Register, Vol. 78, No. 144, July 26, 2013, at Pages 45255-45256. Deadline to submit reply comments to the Federal Communications Commission (FCC) in response to its July 15 Public Notice (DA 13-1540) regarding auction of H Block licenses in the 1915-1920 and 1995-2000 MHz bands, and competitive bidding procedures for Auction 96 (AU Docket No. 13-178). See, notice in the Federal Register, Vol. 78, No. 145, July 29, 2013, at Pages 45524-45533. Deadline to submit to the Office of the U.S. Trade Representative (OUSTR) requests to testify, and summaries of hearing testimony, at its September 9 hearing in its Section 301 investigation of the intellectual property related actions of government of Ukraine. Section 301 is the statutory means by which the U.S. asserts its international trade rights, including its rights under World Trade Organization (WTO) agreements. In particular, under the "Special 301" provisions of the Trade Act of 1974, the OUSTR identifies trading partners that deny adequate and effective protection of intellectual property or deny fair and equitable market access to U.S. artists and industries that rely upon intellectual property protection. See, 19 U.S.C. § 2242. See, notice in the Federal Register, Vol. 78, No. 143, July 25, 2013, at Page 45011. Location: OUSTR, 1724 F St., NW.